What Are the Best Lottery Numbers? “What are the best lottery numbers to play in the next lotto draw?” is probably the most common question asked by lottery players and it’s a potentially $1.5 billion question. If everyone knew the answer to that question, then the lottery simply wouldn’t exist. Picking the best winning lotto numbers involves a lot of luck. There’s no other way of putting it. That said, there are a surprising number of tricks you can use to pick lotto numbers and, some might say, clearly the best lottery numbers to pick to improve your chances. Here’s a closer look at how to pick the best numbers to win the lottery and the best lotteries that you can go play now online. You have to get lucky to win the lotto but people do use a variety of different strategies for picking their best lottery numbers, however. An obvious strategy is using the same numbers until you get a winner. There’s really no reason to switch them up. Another common strategy is the Delta system where you pick numbers based on a study about sequential numbers. The idea behind the Delta system is that you pick low numbers so that the sum is less than the highest number in the lottery. Another popular method is lottery “wheeling.” Lottery wheels are used by individual players and syndicates (groups of players) to up their chances of winning the lottery. Lottery wheels let players pick more numbers than they normally would be allowed to pick on a single ticket. The wheel works when you buy multiple tickets and can help people secure wins provided they are able to hit at least some of the drawn numbers. The “wheel” aspect is a reference to the cyclic nature of strategy. There’s also a “full wheel,” which involves all combinations from a set of numbers a player picks, which essentially guarantees a first-tier prize if all the drawn numbers are within the player’s set of numbers. The issue with the full wheel is that it’s quite expensive and requires purchasing thousands of tickets. What About Random Generators to pick your best lottery numbers? If you’re just a small-volume player – ie just pick a few of the best lotto numbers every Saturday night and call it quits – a random lottery number generator is probably a bit of overkill. If you’re looking to purchase a lot of tickets, though, you’ll likely need some sort of random number generator to speed up the process. Many lotteries have built in random generators so you can increase the number of tickets you buy and increase your odds of winning. 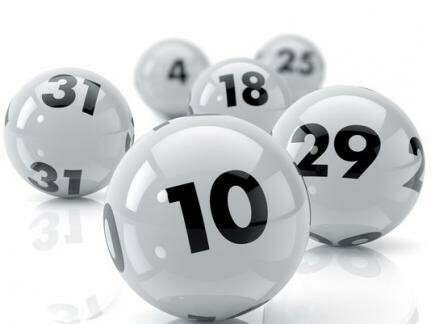 Random number generators might seem to take the fun out of a lottery but they are essential if you want to pick lotto numbers for a ton of tickets. Interestingly you can also use independent number generators online that pick your best lottery numbers based on past results. You can also input your own favourite numbers into number generators and it will tweak them in an attempt to bring them closer in line with past results. Which Lottery Numbers Should I Avoid? Let’s start with ignoring any sequence of the best lotto numbers that has previously won the jackpot. The chances of the same exact sequence of numbers winning the Powerball jackpot, for instance, should happen roughly once every 2 million years. Technically “1, 2, 3, 4, 5, 6” has the same chance of being picked as any other number but it’s also one of the most popular tickets around. Every week thousands of players pick that simplest of sequences, which means if you ever won with it you’d have to share your prize with numerous others. It’s simply not a good bet if you want to win a massive payout. Generally you want to avoid very common or popular number sequences. Want to know something a little freaky? 13 is frequently one of the least drawn numbers in popular lotteries such as Mega Millions, Powerball and the National Lottery. It’s not exactly clear why that is but the historically unlucky number just doesn’t get drawn that often. It might be time for a correction but we’d probably just stay on the safe side and avoid it altogether. Is it a Good Idea to Use Favorite Best Lottery Numbers? You mean like your birthday or your child’s birthday or some other number that has sentimental value? It’s honestly fine. If you’re just buying one ticket that means all numbers have the same exact value. There’s a good chance your exact birthday isn’t that common so you don’t have to worry too much about sharing a jackpot with someone else. Some people also just have lucky numbers that always tend to help them out. It could be your favorite sports jersey or the numbers in your address. At the very least using your anniversary should score some points with your significant other. It can’t hurt to have a little karma on your side right? What are the Odds of Picking the Best Winning Numbers? If you really want to increase your odds of winning the single biggest thing you can do is purchase more tickets rather than concentrate on the best lottery numbers. That’s just the way it works. More tickets = more numbers = better odds. How to Pick Powerball/Bonus Numbers? 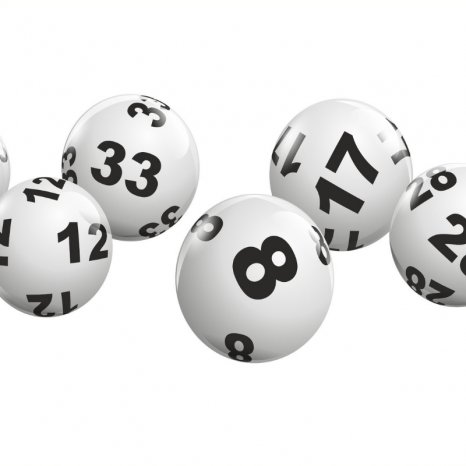 Most National Lotteries offer some sort of bonus number or Powerball that comes from a separate pool of numbers. This one is much simpler than the main sequence of numbers since you’re only picking one number. This time around you don’t have to worry about strategies quite as much or picking common numbers and you should just go with your gut. Should I Group Up with Other People to Play the Best Lottery Numbers? As we mentioned above: the single best way to increase your odds is to buy more tickets. But you don’t have a ton of money to invest in lottery tickets you can always join a syndicate. Syndicates pool their tickets together, which greatly enhances your chances of taking a big prize. Keep in mind that you’ll have to share your prize with the rest of the players in your syndicate so the ultimate payoff might end up being less. It’s also extremely important to join up with people you trust. There are too many stories of lawsuits over jackpots. Fortunately you can join syndicates online and actually get some insurance that the eventual prizes will be split between all winners. Should I Play the Megaplier/Power Play/Hot Lotto? Most massive lotteries also offer a multiplier bet where you can multiply your winnings (usually provided it’s not the grand prize). Should you buy into the hype? The answer is: maybe. The thing about multiplier bets is that the eventual payout from the multiplier has to be big enough to warrant the price of admission. The best bet is to carefully track the multiplier and once the jackpot reaches a certain number then you should go all-in. You can check the current jackpots for multipliers online. What About the Postcode Lottery? If you don’t want to bother with picking numbers at all you could just go ahead and play the famous postcode lottery. Postcode lotteries are based on the postal code where you live. There’s no need to pick numbers because they’ve already been picked for you! Postal code lotteries are very popular in Europe and a nice break for people looking to get away from the hassle of picking their own numbers. Most postcode lotteries also offer subscription services so that you can sign up once and then just wait for a big payout (hopefully!). Historically, Which are the Best Lottery Numbers that Win the Most? In every lottery every number has the exact same chance of hitting in each draw. That doesn’t mean there aren’t trends, however, and over the years there are some numbers that have just popped up more than others. Here’s a look at some of the most frequent numbers that have come up for the major lotteries. Keep in mind that these numbers are always changing. Powerball: 20 is the most drawn number for the Powerball. For white balls the most drawn number is 42. It’s followed closely by 35, 26 and 19. Mega Millions: 3 is the most common Mega Ball number while 2 is the most drawn main number. UK National Lottery: The three most drawn numbers in the National Lottery in the UK are 38, 23 and 31. Lotto 6/49: 31 is the most drawn Canadian Lotto 6/49 number. Irish National Lottery: 32 is the most drawn Irish Lotto Number. Lotto Max: 7 is the most drawn number in the Canadian Lotto Max lottery. If you’re picking the best lottery numbers for a single draw tonight or for a long-term strategy, it makes practical sense to include some or all of these frequently drawn numbers in your picks.